Welcoming Mandarin Language Assistants to a Dunedin bush walk. 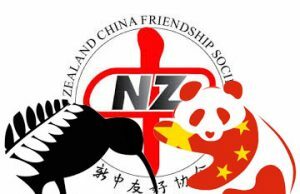 Welcome to the Dunedin Branch of the New Zealand China Friendship Society. Please follow the Dunedin Branch on Facebook. The Dunedin Branch is currently the most southerly in New Zealand. The branch wishes to support and associate with all other local Chinese orientated groups and will run a programme aimed at coordinating and facilitating greater understanding with Chinese culture and language. We believe mutual benefit is the key to successful integration or understanding. A number of our members have taken the opportunity to participate in conferences, tours and projects run by the national association. Our monthly newsletter keeps members well informed of our activities and includes articles of interest. We support the Dunedin City Council and Dunedin Shanghai Association in our sister city relationship with Shanghai. 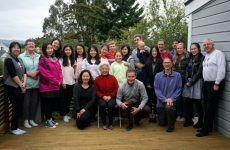 In 2015 we supported a Dunedin Youth Choir project linking with the Shanghai International Music Festival. We welcome Otago University members support. 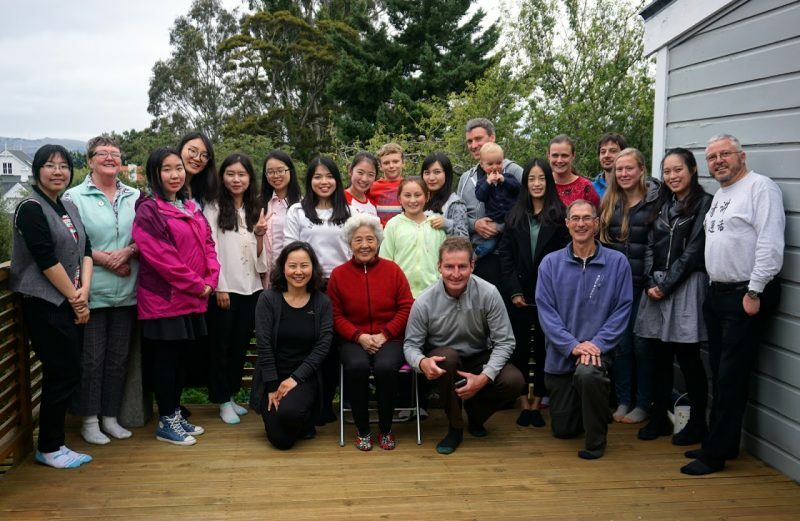 We applaud those sharing membership with Otago Southland Chinese Society. We are active in encouraging increased learning of Chinese in schools and Chinese language learning in our community. We run Mandarin classes for beginners and intermediate adult learners. We look at ways to help new Chinese people settle into our community. 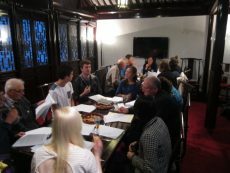 Mandarin Language Class ends with dinner. We have a range of interesting speakers and activities through the year. 2018 will include speakers on Recent China Experiences, The History of the Language, Show and Tell -Personal Treasures of China, and more… as well as a summer sports activity for younger members. Annual membership: Single $20, Couple or family $30, Student $10. To join the NZCFS Dunedin Branch: please complete the online membership application form below. 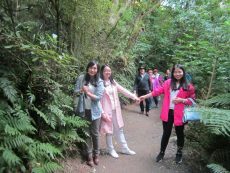 Please fill in the form below to join the Dunedin Branch of the New Zealand China Friendship Society Inc. Note: Account is with the Southland Building Society but deposits can also be made at Westpac Bank.